This is our No. 1 choice for a 21st century ephemeris. Oversize format (eg, print big enough to read easily), one month per page (eg, lots & lots of useful info), lightweight (eg, portable). Daily positions, Sun-Pluto; moon's position every 12 hours; both mean & true nodes (daily); planet positions to the nearest tenth of a minute of a degree; Sun & moon position to the nearest second of a degree; complete daily aspectarian includes Ptolemaic aspects plus semi-squares (45), parallels, contra-parallels, inconjuncts (150), semi-sextiles (30), sesquares (135); daily declination & latitudes; void of course; lunar perigee/apogee; lunar phases; eclipses (gives time, position & type). Monthly positions for Julian day, SVP, Galactic Center & Chiron. More than you can use? Maybe. Maybe not. Maybe you'll take up Primary Directions or KT Boehrer's book on Declinations & be glad you have the right ephemeris. Don't waste your money on inferior 50 or 100 year books that will outlive you by decades. Get this excellent ten year book, use it every which way, wear it out & in 2011, get a new, fresh book for the next ten years. Comparison shopping: Click here to see a sample page & compare it to the other books (caution: a slow download). Unpaginated. ACS, paper. Another long week. This year was full of them. This book began as a series of articles published in The Mountain Astrologer in 1995-6. Contents: What astrology gains by exploring its traditions, Differences between modern & traditional astrology, background of traditional astrology; Traditional planetary dignity & disposition, domicile rulers, planetary sect influence on domicile rulers, planetary exaltation & fall, Triplicities & planetary rulers, Using triplicities for disposition, Using triplicity rulers for a planet's dignity, Terms or bounds & faces, Peregrine planets, Determining the main dispositor; Ancient & modern uses of houses, Whole sign houses, Houses as indicators of planetary strength, Pivots, post-ascensions & declines, Aspects to the ascending sign, House definitions: ancient to modern; Aspects in Helenistic & Medieval astrology, whole signs, entire degrees, Ptolemaic aspects, meaning of aspects, the aversions, "Looking ahead" & "hurling rays", Other ways of aspecting, Orbs of planets, orbs of aspect, Joining & separating, Reception: combining joining & disposition; Planets as significators in ancient astrology, significators in the natal chart, Planets as natural significators in love & marriage, Derived significators, Planetary lord of "soul", Planetary lord of action or career; Planetary sect, Planets by sect: diurnal & nocturnal, Four qualities (dry, hot, wet, cold), Masculine & feminine; Phases of the planets, Diurnal & zodiacal motion together, Heliacal risings & settings in east & west & as indicators of planetary strength, Oriental & occidental, Minor accidental dignities & debilities, Young & old, early & late, Temperament & complexion, Ascendant & solar quadrants, Complete phases of planets with the sun, Qualities & phases, etc. Arhat, 110 pages, paper. An excellent book. These are easily the best descriptions of the effect of planets in houses that I have read. The author bases her work not only on a firm grasp of astrological fundamentals, but also from extensive experience. Subtleties abound. Sun in the 10th: It's lonely at the top. Uranus in the second: Early poverty gives way to wealth but with a cavalier attitude, or even contempt, of money itself. Along with this comes a good speaking voice & a strong sense of style (contrast that to the usual Uranus in 2 blurb!). Each & every definition in this book starts with what you thought you knew & expands that with many surprising details. There is little astrological jargon & just about no preaching. This will become a classic, one to keep on your desk when you read a chart. 247 pages. Llewellyn, paper. BACK IN PRINT. Explains retrogrades from a systems viewpoint (sun & planets), then interprets them natally, by progression & by transit. According to Sullivan, the power of a retrograde planet depends on its overall placement in the horoscope. Focus on retrogrades in aspect to the sun, retrogrades as singletons, retrogrades segregated from the rest of the planets in the chart. Retrogrades seen in the context of the whole system, perhaps for the first time. Contents: The mechanics of retrogression, the sun & natal retrograde planets, secondary progression of planets, Mercury & Venus retrograde, cycle of superior planets, Mars through Pluto retrograde, natal case history, mundane case history (syphilis), transiting Mars through Pluto retrograde, transiting retrograde case history, notes, bibliography, index. 427 pages, Weiser. A sneak peek at celebrity love lives. Gives all 144 possible combinations of Mars & Venus in a horoscope, using keywords. Do you have Mars in Libra & Venus in Capricorn? Then you're the 'Damn well better be perfect lover!' If your lover has Mars in Scorpio & Venus in Virgo, then he's a 'Picky Powerhouse of Passion!' If you have Mars in Cancer & Venus in Aries, you are the 'Swaggering Sentimentalist'. The authors give a detailed description of each type & a famous case history. Lawrence of Arabia was a Picky Powerhouse, ***Elvis*** was a Damn well better be, Isadora Duncan was a swaggerer. Readable & by turns amusing, insightful, useful. 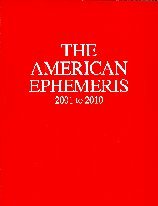 Includes a Mars/Venus ephemeris, 1920-2010. 455 pages including bibliography and index. Llewellyn, paper. Formerly entitled, The Karmic Journey, the new edition revised & updated. The result of 25 years of study, chart reading & past life regression are combined in this richly detailed book. Judy explores the many varieties of karma & in many cases tells us specifically where they can be found in the birthchart. She also explains how the act of grace can neutralize some karmic debts, shows us generational karmic patterns & how they can be overcome. She explores Saturn, Uranus, Neptune, Pluto, Chiron, the Nodes & prenatal eclipses as karmic indicators. Chapter headings include: The Presence of the Past; Patterns Past, Present, Future; Credits & Deficits; Mansions of the Soul; Soul Intention; The Wound of the Soul (Chiron); Karmic Dis-ease; Moving Beyond Karma. Introduction by Melanie Reinhart. 349 pages, a most interesting book. Wessex Astrologer, paper. From the author of Astrological Body Types, her new book on jobs. Contents: The zodiacal signs & vocation; Temperament & profession; Four elements & three modes; Vocational "supplements" of the birth chart; Planetary strength & weakness; House rulerships in vocational astrology; Three vocational houses & rulers; Reading the vocational chart; Vocational time clocks; A to Z vocational listings (planet/sign/house combinations & rulerships for perhaps 50 occupations); Glossary of vocational terms; Collection of vocational horoscopes. An excellent new book. 169 pages including bibliography. AFA, paper. This encyclopedia first appeared in 1947. It has long been the classic among all astrological reference works. This one book includes the complete terminology for natal, mundane, horary & electional astrologies, as well as definitive articles on: Eclipses, degrees, dignities, houses, cycles, calendars, the solar system, signs of the zodiac, ruling signs of various cities, Ptolemaic astrology, the planets, the invariable plane & much more. The young Charles Jayne contributed a number of articles to this book. The best of all the various astrological dictionaries/encyclopedias. 435 pages, one of the great books. Slignshot spiral, paper. In Astrology, stars are known as "fixed" to distinguish them from planets, which were once known as wandering stars. This is mute testimony to the great antiquity of astrological star-study. This book is the distillation of practically everything published on fixed stars since the Middle Ages, the gist of some 200 books. Among the many authors cited are Ptolemy, Wilson, Simmonite, Pearce, Bullinger, Alvidas & R.H. Allen. The heart of the book is a comprehensive treatment of fixed stars in natal astrology, their value, their effect when combined with angles & planets. Convenient tables & a comprehensive index make this volume easy to use. This book includes some 110 named stars, as well as 48 ancient constellations & 60 modern ones. Arabic, Hindu & Chinese lunar mansions are discussed, as well as fixed stars in mundane astrology, stars & constellations in medieval magic & fixed stars in astrometeorology. The classic book on fixed stars. Of the few books available on fixed stars (Rigor's, Ebertin's, etc. ), this is by far the best. It's also the one some of the others cribbed from & to which everyone since refers. So get the original. 264 pages including index. Slingshot spiral, paper. Interceptions are what happens when you have the same sign of the zodiac on two house cusps, and elsewhere in the chart, two opposing signs missing. The further your birth from the equator, the more common this becomes. This excellent new book examines this in detail. Contents: Value & effect of interceptions; Effect of house systems; How much of the chart is affected; Effect on signs, Strength of ruler; Interceptions developed by transit & progression; Interpretation of intercepted (missing) signs in pairs (eg, Aries/Libra, Taurus/Scorpio, etc); Interpretation of repeated signs, in pairs; Intercepted planets; Elements (air, fire, water, earth) & modes (cardinal, fixed, mutable); Horary & electional applications. AFA, paper.